Title I is designed to give students help in reading and/or math based upon the recommendation of the classroom teacher and performance on standardized tests or formal assessments. It involves individual and/or small group help based on student needs. The opportunity for additional instruction increases the child's ability to succeed in reading and/or math and helps the child "connect the pieces" in order move toward grade-level academic achievement. Title I is staffed with caring and licensed teachers who are committed to providing lessons to your children that help them to more completely understand the classroom material. 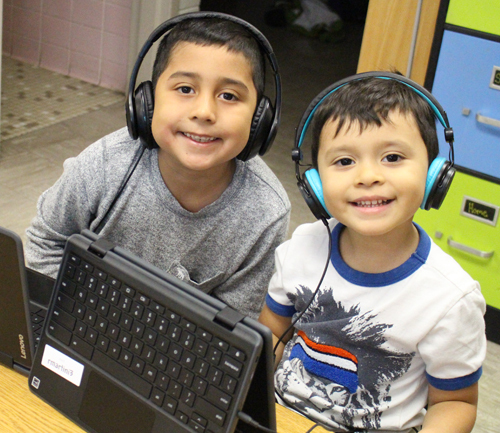 Title I programming is available to students at Stevenson Elementary, Hayes Elementary and Fridley Middle School. How does a student qualify for Title I services? Parents are encouraged to participate in Title I meetings and learning opportunities. Fridley Public Schools recognizes that parents are an integral part of their student's education. There are many ways for parents to be involved in our schools and programs# Schools communicate with parents regularly through newsletters, website, family activity nights, and PTO meetings. Elementary and Middle School teachers hold biannual formal parent-teacher conferences in addition to communicating by phone and email as needed. The district has developed a plan for involving the families of students receiving Title I support. There is a meeting once a year where families learn about and give input into the Title I program. 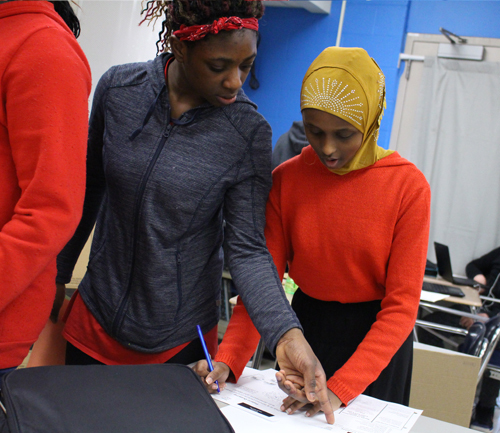 In addition, strategies for supporting students at home are also presented at these meetings, and families are surveyed in order to determine helpful topics. A partnership between home and school is important in student learning. This compact shows that everyone has a part to play in student success! Families of students receiving Title I support services are invited to be part of the Title I Parent Advisory Committee# There will be an opportunity to join this committee at the Annual Title I meeting. This group would meet to provide input and feedback if there were to be changes to the program. If you would like to participate in this committee, please contact Laura Seifert-Hertling at 763-505-5024 or email her at: laura.seifert@fridley.k12.mn.us. if the staff member is not highly qualify to teach the subject he or she is teaching.